This is a non-beauty-related post, and I’m making no apologies. 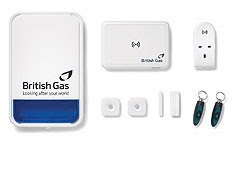 As part of an official partnership with British Gas Smarter Living this year, I’m here today to talk about my 6 month trial of their Safe & Secure home security system, and this is my first blog post in an occasional series. Having lived in shared and rented accommodation for years, home security hasn’t always been a high priority of mine, but after a harrowing experience in a flat last year, being offered a chance to review a security system such as “Safe & Secure” by British Gas has been a bit of a godsend. For a time last winter, I was unable to leave my home unattended at any point. Owing to a rogue landlord, we had to have our friends and family flat-sit during the day, and have friends over at the weekends so we could go and do our shopping. Needless to say, we soon got out of that situation, but I’m aware that if Safe and Secure had existed back then, our lives – and those of our friends – would have been a lot easier! Safe and Secure enables you to leave your home in total assurance that if anything goes wrong, you’ll be made aware of it, and be able to take action. Controlled via either the internet, or via an app on your smartphone, it’s simple enough for even this technophobe beauty-blogger to be able to figure out. You can protect your doors, your windows, have a smoke detector, get motion detectors, control key electrical equipment via a “smart plug”, and monitor just who is in your home at any time. Handy for control freaks (me), and nosy people (also me) alike. I’m not going to lie, there’s been some hiccups along the way recently, but British Gas have been made aware of where they’ve gone wrong (nearly getting my security system stolen because their courier company – since fired – screwed up, is the most amusing, however infuriating it was at the time), and they’ve promised me that they’ll make no more mistakes. That said, I’ve made some mistakes too, and I’m certain that my neighbours haven’t quite forgiven me for the day my siren went off five times in an hour because I’d overlooked something very simple indeed, but these are stories for another time. I look forward to finding out how well everything works over the coming months. You can find out more about my journey with British Gas, Safe & Secure and Smarter Living if you click this link. The Fine Print: I’m an official spokesperson of the British Gas “Don’t Take Our Word For It” campaign.